The title of this blog refers to a favourite line from Seamus Heaney’s The Harvest Bow, a poem that explores the humanity of the writer’s father as he crafts a decorative knot made of woven straw reeds, a traditional Irish custom strongly linked with courtship and marriage (you can see my own example below). 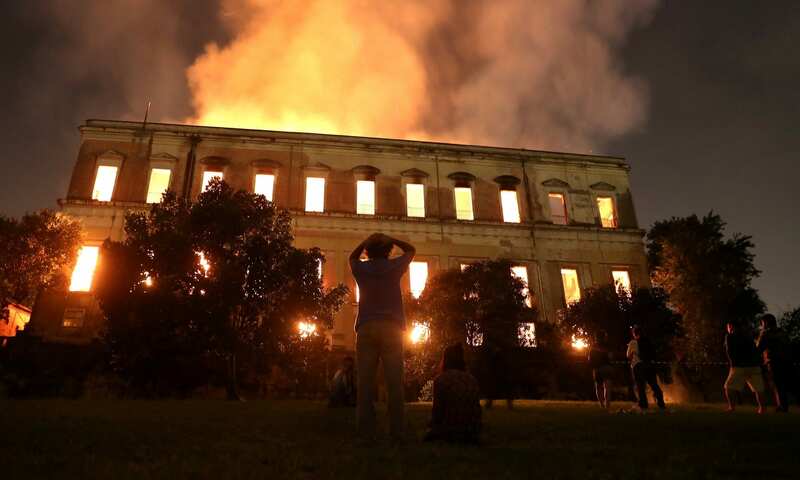 The end of art is peace…. 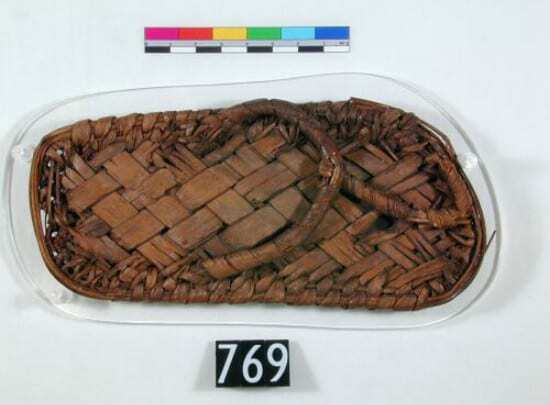 Since beginning the role of Student Engager earlier this year, I have found myself thinking of this poem more frequently; one reason for this is that the Petrie Museum holds in its collection an example of a woven basket, in front of which I always stand during my shifts. The similarities of form between two objects separated by both thousands of years and miles has made me wonder just how universally pervasive the skill was. 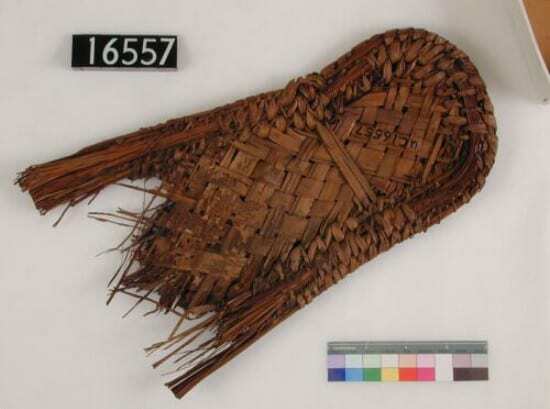 Woven basket which is on display and the inspiration for this blog post (Petrie Museum, 7494). Let me just mention one other important fact about all this… I’ve a background in physics and my current PhD research is based on the decay of modern materials like plastics in museums. Basket making — especially the ancient form — is a little out of my comfort zone! It therefore came as a shock to me that the weaving skills I learnt in the classroom (as every Irish child does) can be traced back to before the use of pottery. As Carolyn McDowall mentions, many “weaving techniques reflect the geographical location of the many and varied culturally different groups”. The beauty of traditional skills such as these is they can offer a connection, via our hands, to the past as little has changed in the way we construct them over thousands of years. From a personal viewpoint, I’ve always been drawn to geometric objects such as these; its possibly the physicist in me attracted to their symmetry (or in certain cases, lack thereof). My research trip down the rabbit hole for this blog lead me to some interesting reading about the mathematics of weaving. One thing is for sure, that the resulting patterns are pleasing to the eye, and the inclusion of dyed, or painted elements into the structure elevates a simple commodity into a piece of folk art. It’s also clear that the resulting symmetrical patterns are universally pleasing – why else would we find decorative patterns in weaving in Egypt, southern Africa, and from the peoples of Native American tribes. My research also led me to a theory about something that have always wondered – if you walk around the pottery displays in the Petrie Museum, you will notice that many of the objects have geometric patterns baked into them. I’ve never understood why they would go to the added trouble of imprinting the pattern. 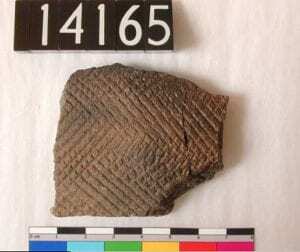 If, however, you acknowledge that patternation is a universal trait, and that basket weaving pre-dates pottery then the herringbone patterns found on some pottery could be the makers attempt to copy the form of woven baskets. 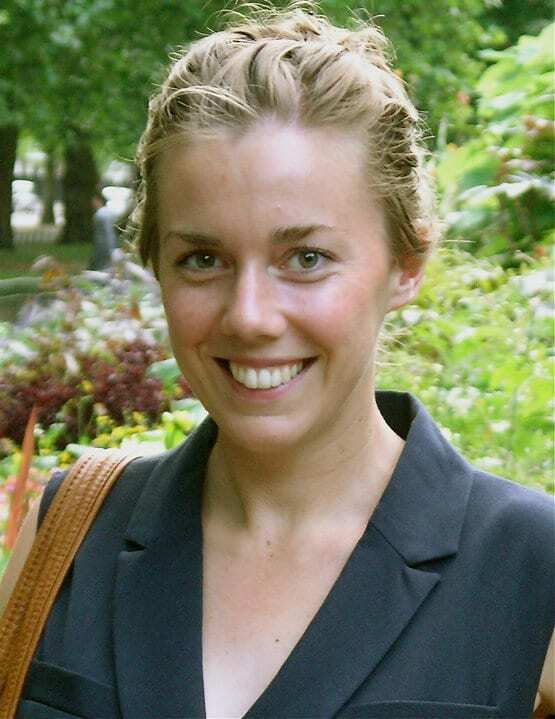 I asked fellow engager Hannah, who’s PhD focuses on sub-Saharan African ceramics, about my theory recently. Hannah told me that “some academics have suggested that in these cases these decorated ceramics can imply that vessels made from natural fibres were also made and used in these time periods”. So it seems I’m onto something with the theory! 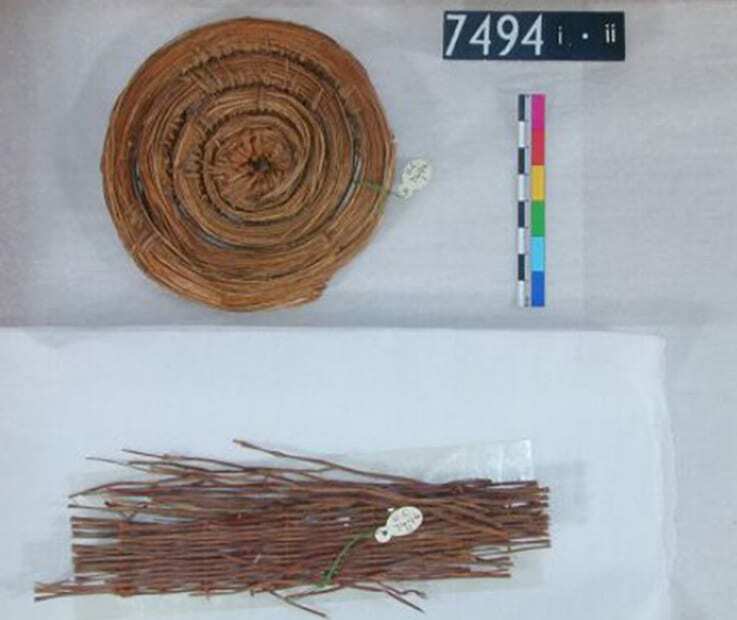 More examples of weaving from the Collection (Petrie Museum, UC769 Above & UC 16557 Below). One thing that stuck me is that these products must have created trade between the groups, promoting both an early economy and the spread of their technologies. Could this be why some of the patterns are common to all or could the base mathematics of weaving be a common universal trait somehow hardwired into our brains? Unfortunately, I wasn’t able to answer this question during my research. 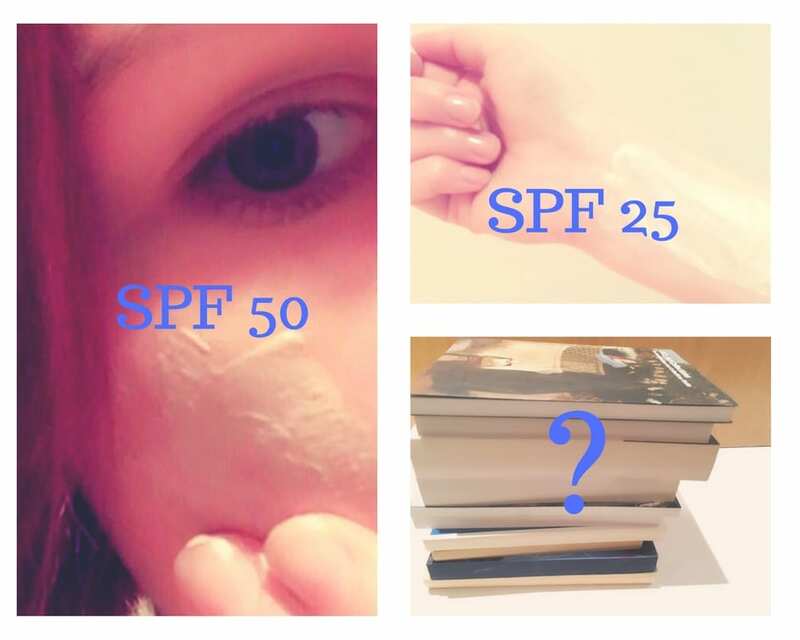 I’ll have to keep digging for the answer, but in the end, I am left with an even deeper understanding and connection to the past, and an object that as Heaney says, “is burnished by its passage, and still warm”. There’s a 2.7-meter-long skeleton of a big underwater creature in the Grant Museum of Zoology, right when you enter the main room. On my first Saturday shift as a PhD museum engager, a 7-year-old boy stopped to point and ask his mom what this monster was, and why it had hands. The mom glanced at the display label, read its name, DUGONG, and then stopped and looked at me — what on earth was this note about this animal starting the myth of mermaids? Was it for real? 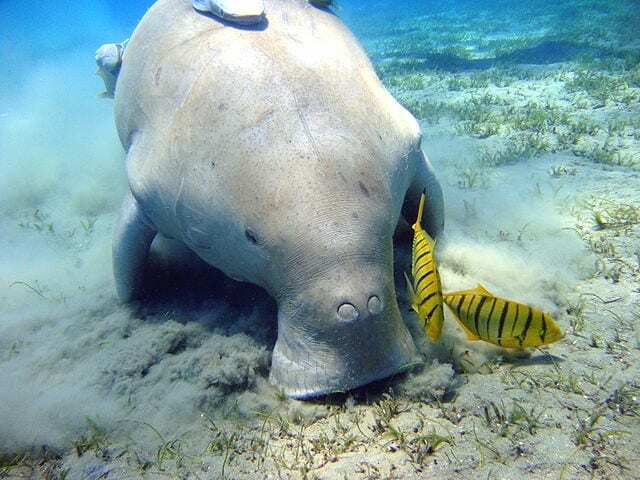 As Rita Dal Martello has written on our blog before, dugongs and manatees both belong to the animal genus Sirenia, and share the common name ‘sea cow’. The mammary glands of females in the Sirenia genus are located on their upper bodies near their armpits, which are likely to have contributed to the reported ‘mermaid’ sightings of explorers and sailors. While manatees can be found in estuarine and fresh waters, dugongs are strictly marine mammals. They also possess a dolphin fluke-like tail. Dugongs are slimmer than their cousins, but this is relative — they still can grow to 3 meters in length and weigh up to a whopping 1000 kg! It’s not surprising, then, that sailors spotted these animals from their ship’s deck. And mistaking them for beautiful humanlike creatures is not entirely far-fetched… when one considers these men could have been at sea for years at a time and knew every tall tale of fantastical ocean creatures in the book. In the 18th and 19th centuries, mermaid specimens held a particular grip on Western popular imagination. The hype began when several astonishingly realistic mermaid ‘specimens’ from Asia — primarily from Japan — made their way to Europe during Japan’s isolation policy under the Tokugawa shogunate. When this ended in 1854, these ningyo (which translates to ‘man-fish’), began to circulate as objects of good fortune, supernatural potency, and — perhaps above all — as a means to spark the curiosity of the public. 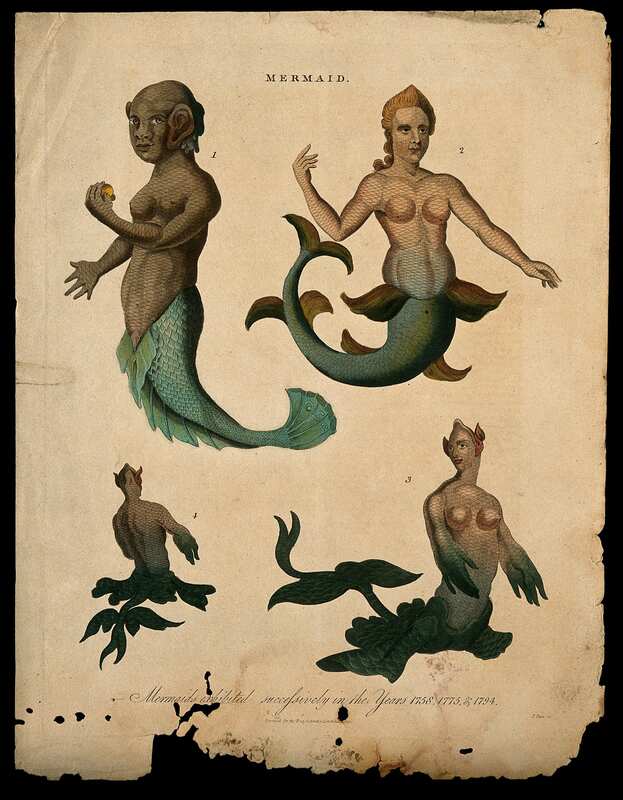 Mermaids were sought after by collectors and showmen alike to draw crowds, as P.T. Barnum famously did with the ‘Feejee Mermaid’. Henry Wellcome (1853-1936), whose massive collection has been distributed over the years to various museums including our own Petrie Museum of Egyptian Archaeology, saw mermaids worth purchasing for their anthropological value; his two specimens are now housed in the Science Museum over in South Kensington, and in the Buxton Museum. Even the British Museum down the road boasts having its own mermaid. And these ‘Japanese mermaids’ continue to captivate our interest into the present day, not only out of curiosity but for science and conservation studies; researchers at the nearby Wellcome Collection recently investigated what two of these cleverly constructed specimens (long assumed to be a monkey head sewn to a fish body) are actually made of. The answer, it turns out, is stuffed papier-mache, wire, fish teeth, scales, carved bone and wood! So next time you’re at the Grant Museum, take a look at the dugong skeleton. 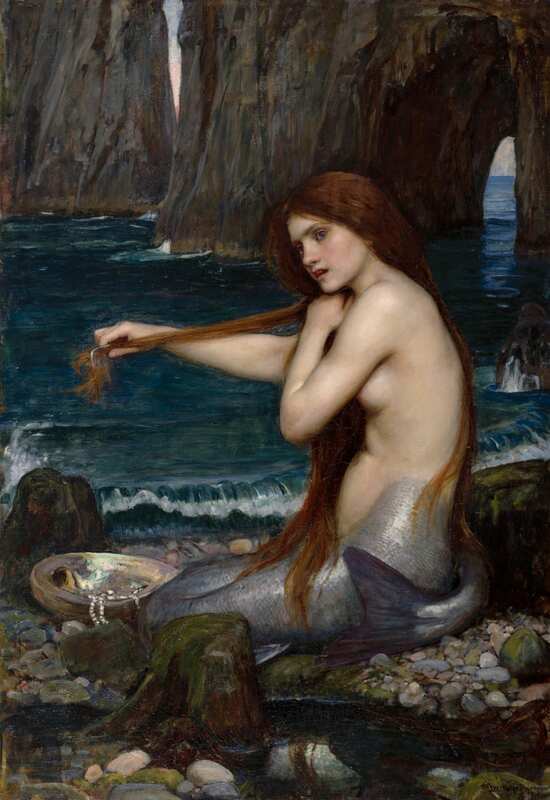 It may not look like it now, but just think of how this creature inspired sailors, shamans, and showmen to perpetuate myths of mermaids across the world, and over hundreds of years! 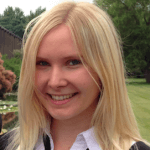 Viscardi P, Hollinshead A, MacFarlane R, Moffatt J, 2014. 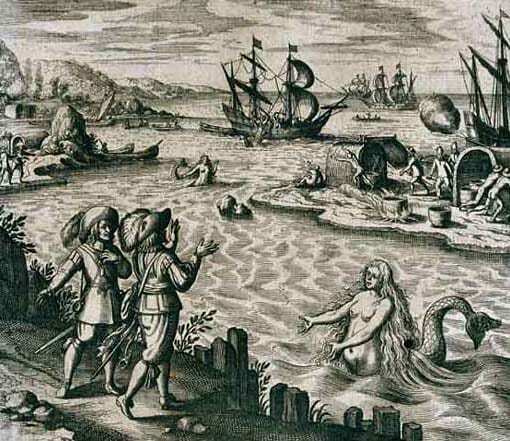 Mermaids Uncovered. 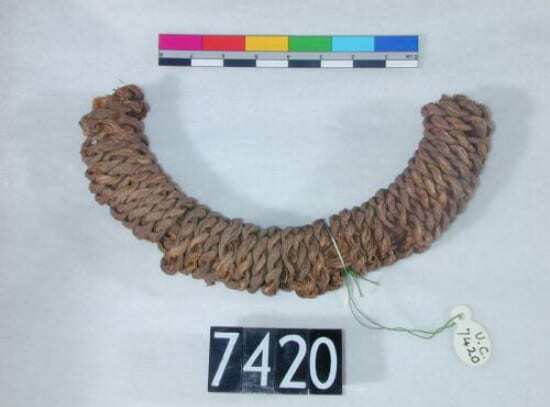 Journal of Museum Ethnography, (27): 98-116. As a biology PhD student, I’ll be the first to admit that there are some studies in science that, whilst interesting, can leave you questioning who comes up with these and why they (and we) should care so much. If you, like me, are the kind of person who loves these kinds of things, the list of past Ig Nobel prize winners is a cornucopia of great examples. Often, though, all it takes is delving a little deeper to find the importance in what seems like a pointless topic. My PhD involves collecting primate poo samples to look at their gut bacteria, and so does occasionally elicit the classic and very valid question: “But what’s the point of it?” from people, so I thought for this week’s blog post I’d try and answer exactly that. Primates are our closest relatives and, in fact, your closest relatives are also primates, as are you yourself. 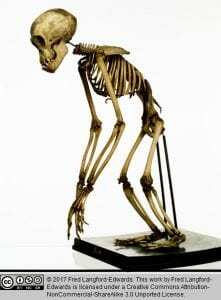 We’ve known about the anatomical similarities between humans and other, non-human primates for hundreds of years. 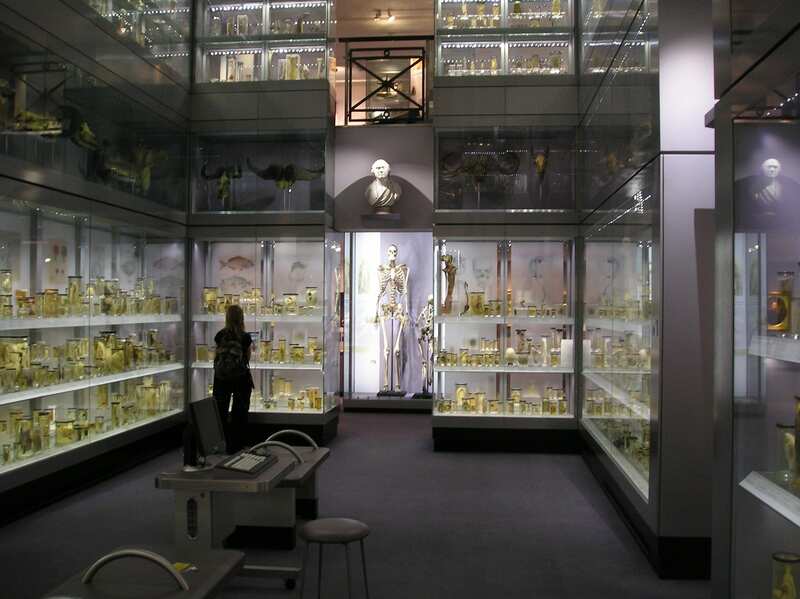 The Grant Museum of Zoology plays host to what used to be a teaching collection for doctors studying at UCL, where the bones and structures of animals from non-human primates to fish would be studied to understand how our own bodies developed from the ancestors we shared with other organisms. Then, in the 1980s, with the birth of molecular sequencing techniques, we gained the ability to study the DNA of animals. From this we began to understand just how closely related to other primates we really are, leading us to the famous fact that we are 98% genetically identical to chimpanzees, our closest relative. The next big step, in my (admittedly, probably biased) opinion, in our understanding of the human body and how it works has been our realisation that gut bacteria are hugely important to human health and disease. We might tend to think of bacteria as harmful or infectious, but actually the bugs that live in your intestine are a normal part of a healthy human body. They outnumber our own cells 10 to 1, making us 90% bacteria in terms of cell numbers alone (although our own cells are much larger, which is why by mass we’re still mostly human), break down parts of our food that we ourselves can’t digest and even provide us with many hormones (such as 90% of our serotonin, the “happiness” hormone). In addition, gut bacteria has lately been linked to everything from keeping us lean or helping to make us obese, to maintaining normal bowel functions or exacerbating conditions such as irritable bowel syndrome. So where do non-human primates come into this? Well, as with the Grant Museum’s collection all those years ago, it’s nothing new to study our relatives in order to understand more about ourselves. 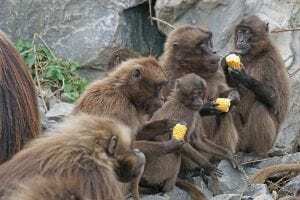 While understanding the gut bacteria of primates across the whole primate evolutionary tree lets us take a look at how gut bacteria have evolved alongside us to create a mutualistic relationship, primates in particular are a very interesting group of animals. Within the Primate Order there is huge variation in the ways that these animals live their lives, and it is by considering these differences that we can begin to understand how the variations between different human lifestyles affect our gut bacteria and so our health. For example, by comparing primates that eat mostly vegetation to species that eat fruit or meat or even gum like lorises, we can start to ask questions about how much our diet affects what bacteria can survive in the gut. 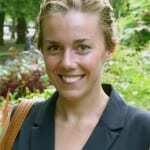 Looking at animals that are highly social, such as chimpanzees or baboons, vs. those that are mostly solitary creatures such as bushbabies can tell us how gut bacteria is spread and shared between individuals, communities and even between different species living in the same area (this is not as crazy as you think – humans have been found to share skin bacteria with their pet dogs). But it’s not just ourselves that we can learn things about when we study non-human primates. One large aspect of my PhD looks at how life in captivity affects the gut microbiomes of primates. Whilst life in captivity is not ideal for any animal, raising them in zoos and centres can have benefits for endangered species. Studying the gut bacteria has the potential to offer suggestions on how we might be able to enrich the diets of captive animals to ensure they maintain healthy gut bacteria whilst living in zoos. Furthermore, by looking at what nutrients are necessary to keep a healthy set of bacteria, we might be able to start thinking about conservations issues such as which plants are highly important to conserve alongside these endangered animals. So, I hope I’ve convinced you that gut bacteria are important, that my area of research has the potential to be of great help, and above all, that primate poo is a great thing to study. Our research engager Ann has explored exhibitions about ancient Egypt in Rome and Dublin. In the last few months I have been to Rome and Dublin. In Rome I visited the Vatican Museums which consists of several museums of which one is about ancient Egypt. 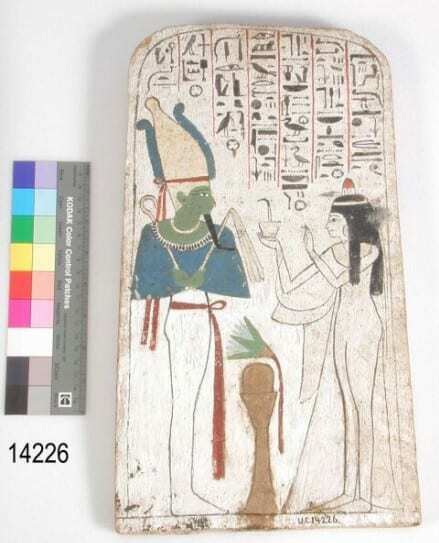 In Dublin I spent a couple of hours at the National Museum of Ireland where visitors are introduced to ancient Egypt. 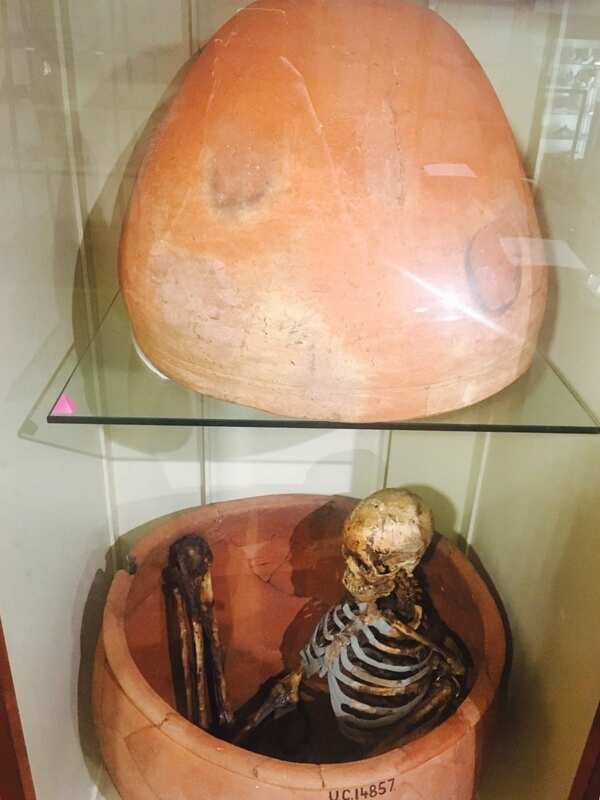 In this blog post I present a couple of items on display at these two exhibitions. 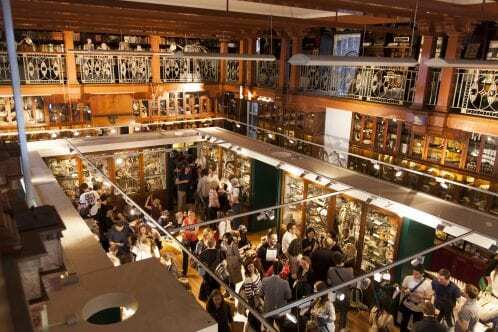 If you want to find out more, visit Petrie museum in London part of your preparations for your trip to Rome or Dublin. One of the first things you get to explore when entering the Vatican Museums is the museum about ancient Egypt. 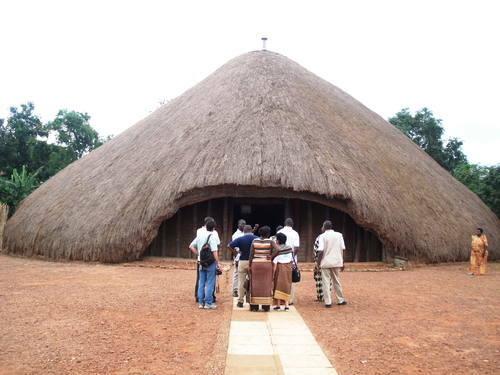 It was founded by Pope Gregory XVI in 1839 and has several interesting artefacts for those interested in the complex civilisation of ancient Egypt. 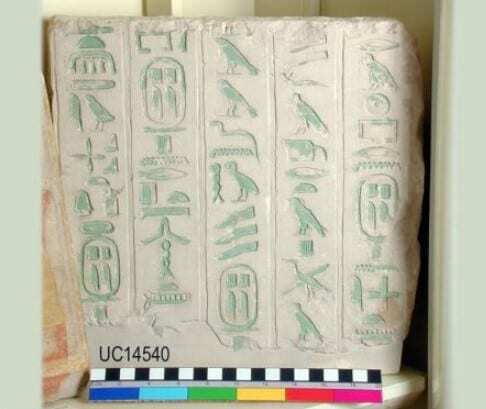 Highlights include statues, papyruses, animal mummies and reproductions of the Book of the Dead. During my visit I took a closer look at the collection of small statues called Shabtis. The word Shabti refers to “respond” or “answer” and these statues of adult male or female form were supposed to carry out tasks on behalf of a person in the afterlife such as heavy manual work. The Shabti figures on display vary in size and some are made of stone and others of wood. A sign next to them tells the visitor that they were wrapped in bandages like mummies and the number of shabtis in a burial could be as many as one for every day of the year. The use of shabtis increased over time but during the Ptolemaic Period the use of these statues gradually disappeared. 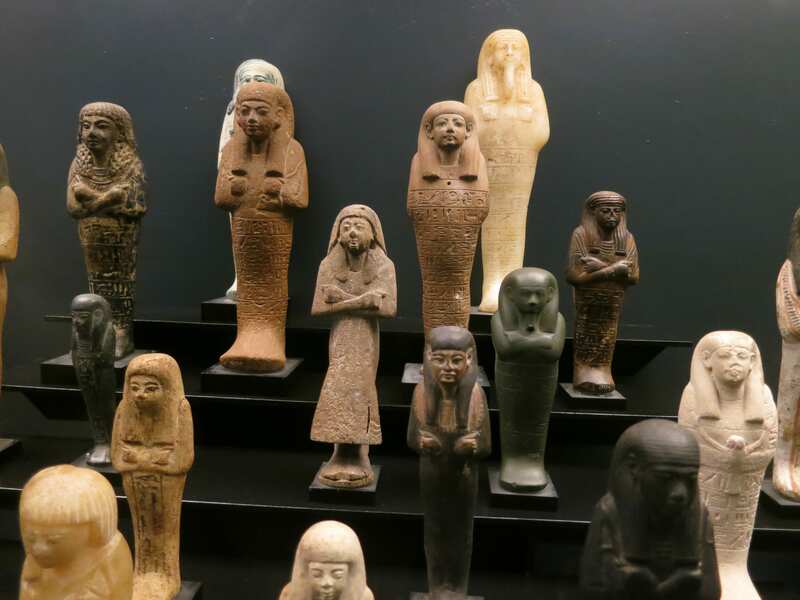 Now, the good news is that you do not have to go all the way to Rome to see Shabtis as there are several of them on display at the Petrie museum in London. 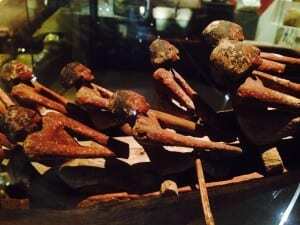 The exhibition at the National Museum of Ireland includes four mummies, jewellery and other personal adornments portraying life and death in ancient Egypt. 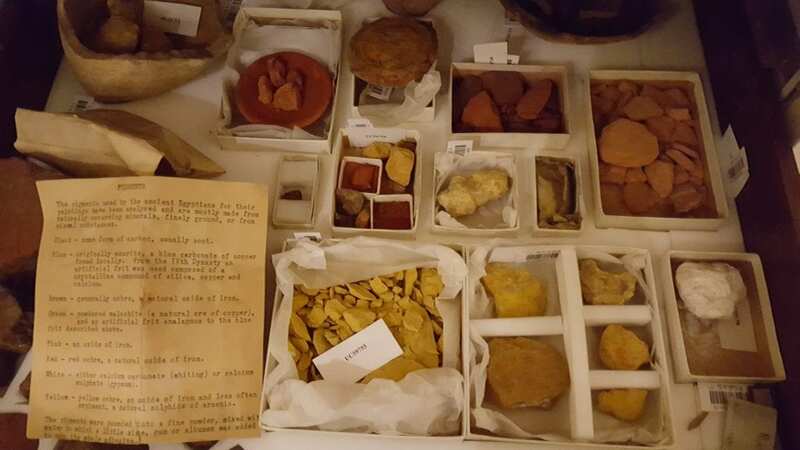 The collection consists of artefacts from several excavations throughout the Valley and Delta led by Flinders Petrie. 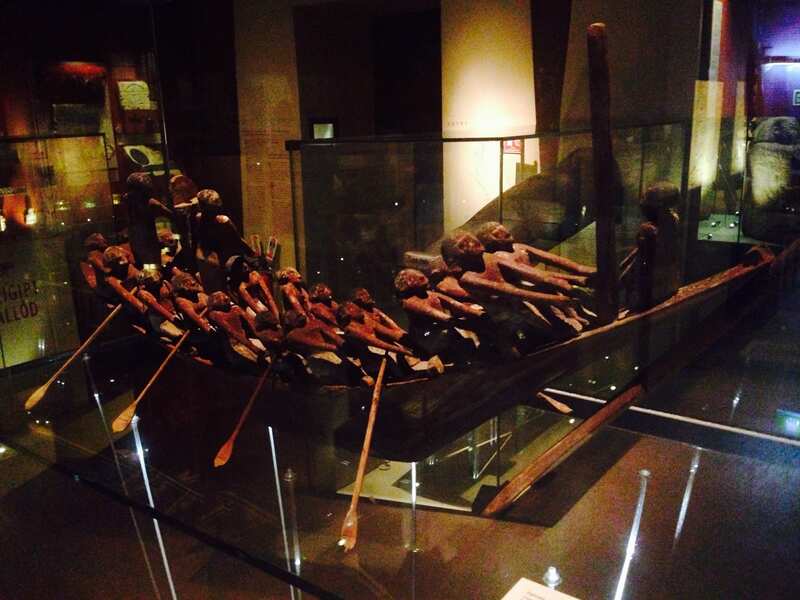 I really liked a painted wooden model of a Nile boat with rowers and armed guard from c.1900 BC. The model was found in a tomb and boat models of different types were often included in Middle Kingdom tomb equipment. Boats were important as they were the swiftest and most reliable mode of transport and communication. In contrast to many other models found this one includes an armed man with speckled cowhide shield. An informative sign next to the model suggests it may be that he is the officer and the crew a troop of soldiers. 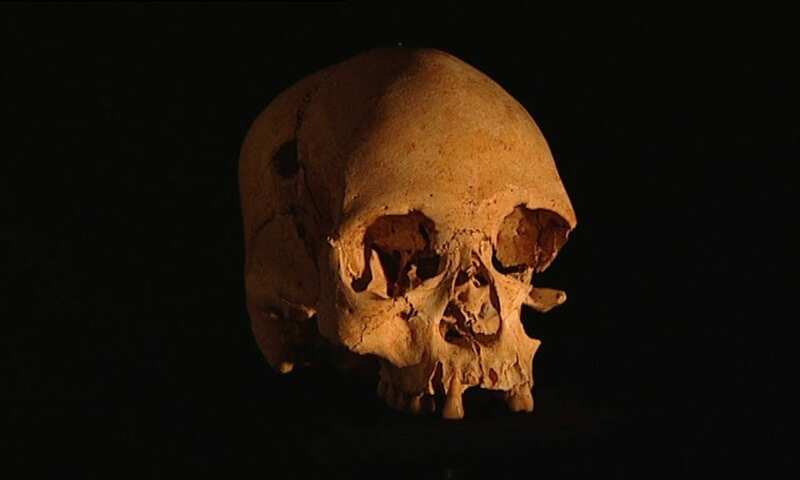 Military features in burials around this time may reflect the civil wars of the First Intermediate Period which ended c. 2025 BC. Have you been to any of these exhibitions or any other exhibition about ancient Egypt outside the UK? 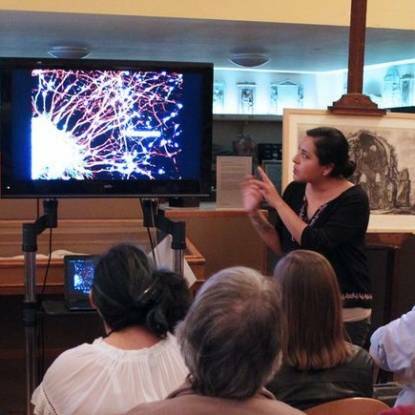 Share your experience with me and the other research engagers next time you visit Petrie museum. Research engagers are PhD students at UCL who regularly spend time at the museums speaking to visitors about their research. 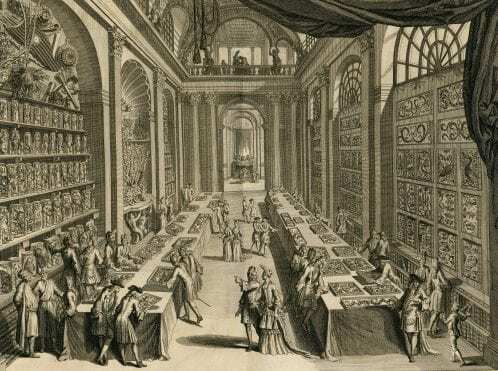 We are also interested in hearing your thoughts on the collections as well as research at UCL. And we love when visitors ask us questions! Although we may not be experts on ancient Egypt as our field of study ranges from mechanical engineering to epidemiology, we will try our best to answer your questions. Questions that we think are interesting to share with others may be published here on our website. We look forward to speaking to you at your next visit.